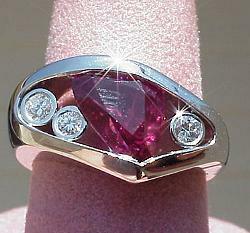 What an intense fashion statement she will make when she wears this great piece. 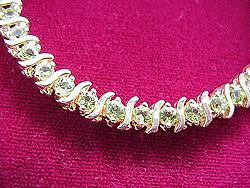 8.0CT TW gem quality Peridots set in our 14k yellow gold tennis bracelet. This is a lot of bracelet for the price. 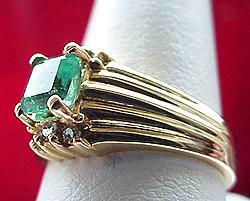 Check out this 0.75CT AA fine grade, rich green Colombian Emerald set in solid 14K gold! 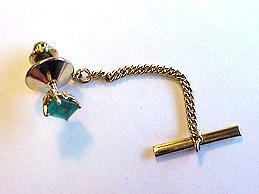 How often do you ever see a nice emerald tie-tack? 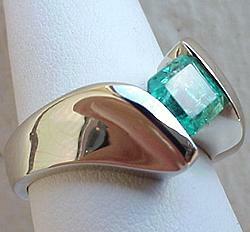 The color is very intense for this lovely three stone emerald and diamond ring. 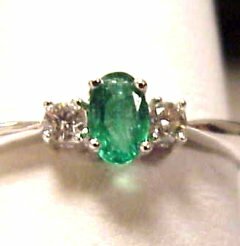 Buy her this beautiful 0.65CT AA fine grade pear shape Emerald from Colombia...accented with 0.25CT TW of G Color, SI2 Clarity, round brilliant cut diamonds set off this beautiful Emerald...all stones are mounted in 14K gold mounting! 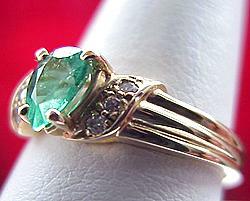 Our DiamondsHere CUSTOM Emerald ring...This stunning 0.25CT Emerald is set in solid 18K gold! 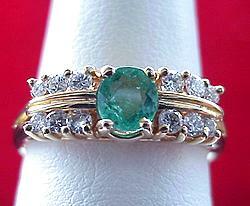 One of a kind 0.46CT Emerald with 0.16CT TW of round brilliant cut diamonds in 18KW gold! 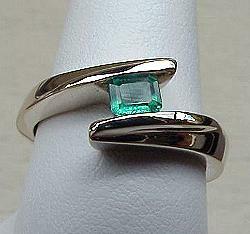 Buy her these lovely 0.41CT Emerald with 0.17CT TW round cut brilliant diamonds in 18KW gold! 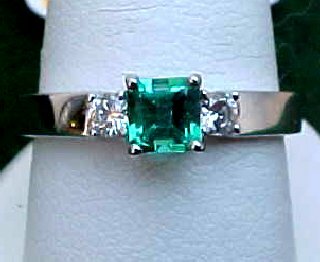 Featuring a lovely 0.68CT AA fine grade Colombian Emerald accented with 0.25CT TW diamonds of G Color, SI1 Clarity all set in 14K gold! 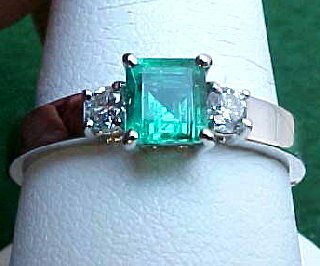 Check out this DiamondsHere CUSTOM Emerald ring...0.88CT AA fine grade Emerald with SI Clarity and set in our solid DiamondsHere 14KW gold mounting.